Now the fashion! 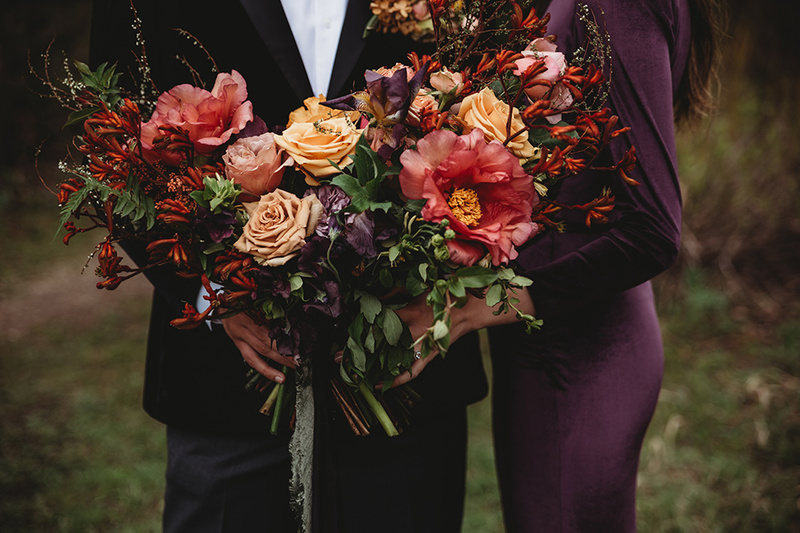 (Our personal favorite part of any wedding, besides an open bar.) 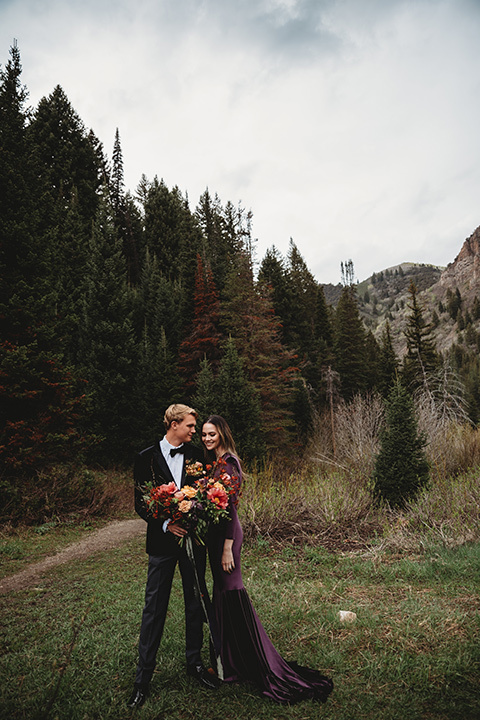 Your setting will dictate your elopement photo style in many ways. 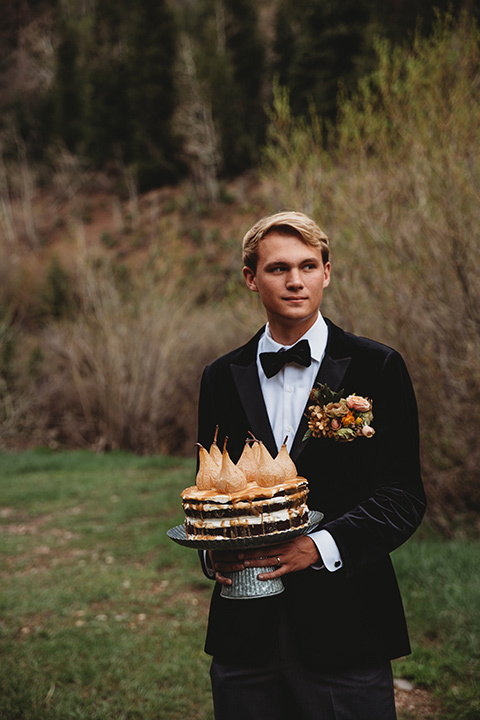 For this specific elopement wedding in the mountains of Utah, we felt the majestic mountains deserved a majestic tuxedo. 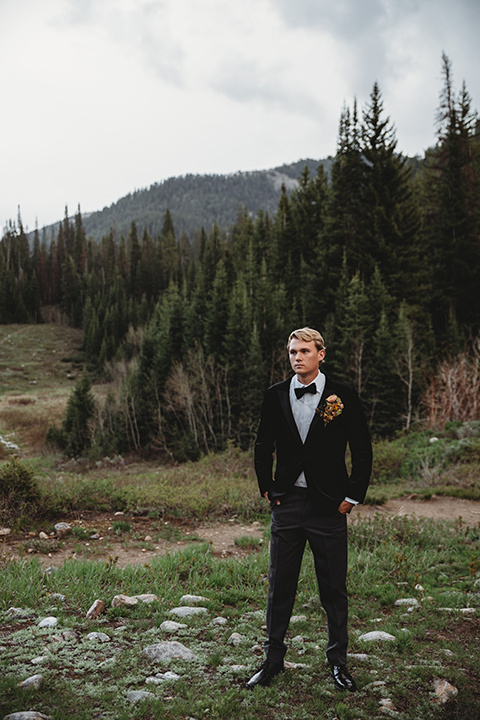 Our velvet tuxedo looks bold, yet also very organic for the location. 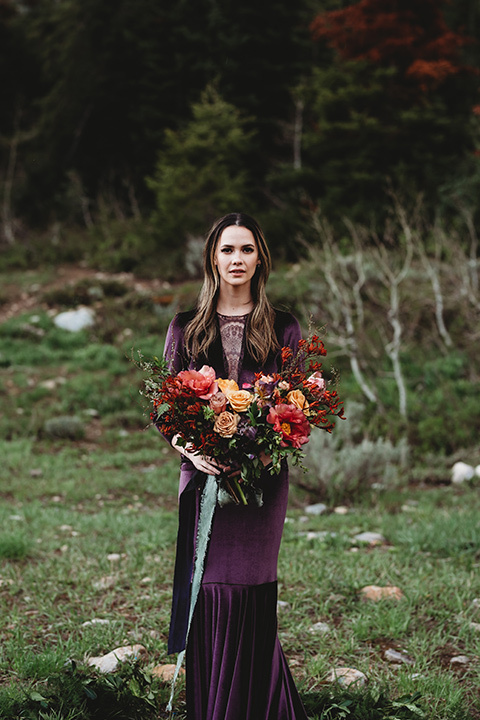 Next to the bride’s deep plum dress, we love how the styling turned out. 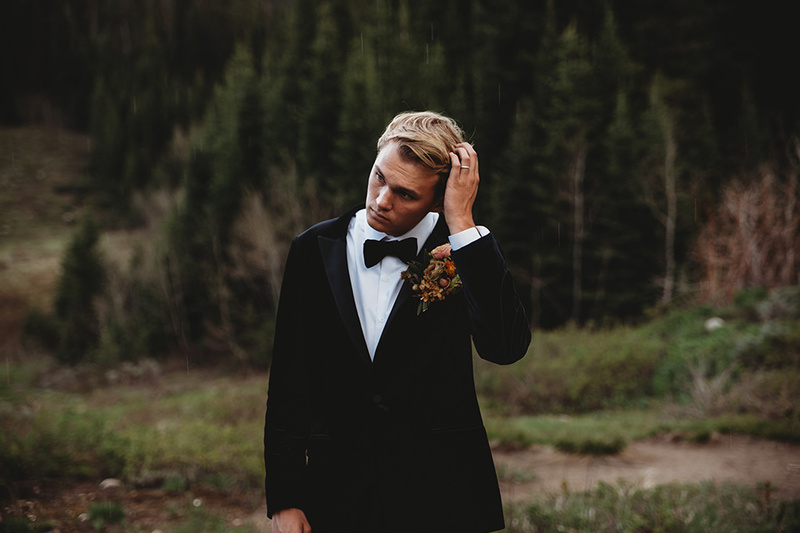 Just because you are getting married outside, that does not mean you only have to wear a vest, slacks, and rolled up sleeves, but you can wear a tuxedo, or a bold color like our cobalt blue or even our new green suit. 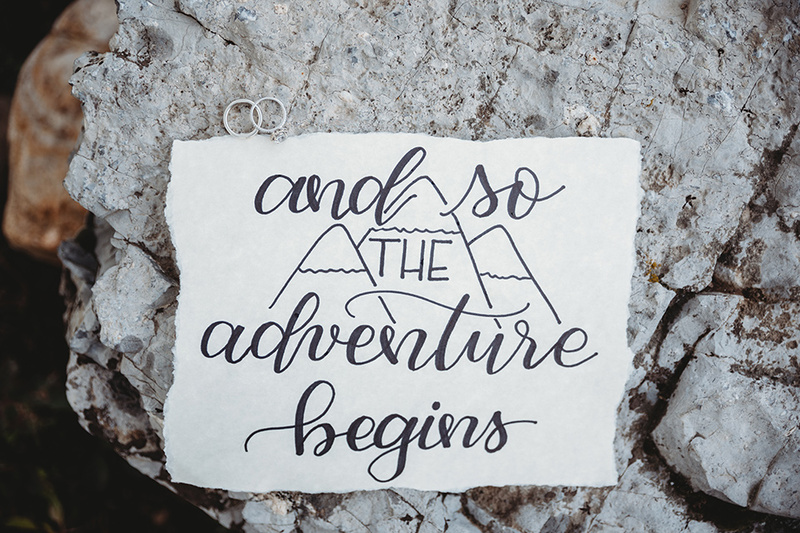 This can bring personality to your wedding and create some pretty amazing pictures. Don’t believe us? 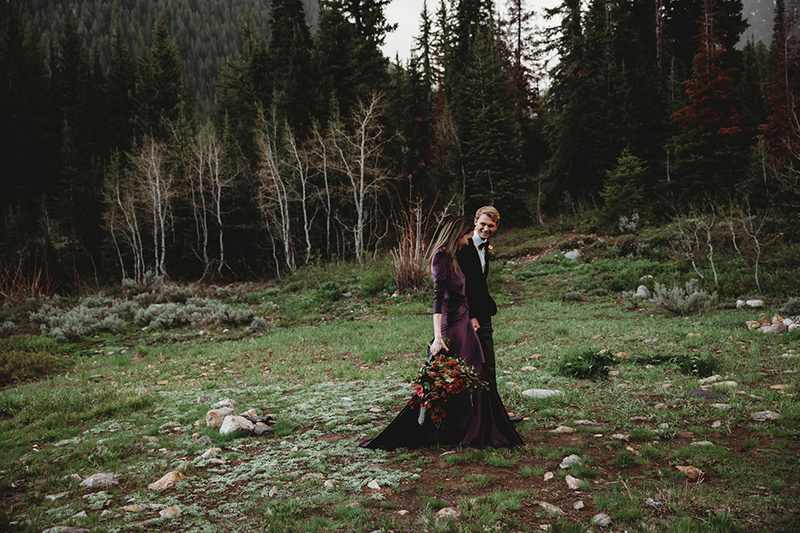 Take a look at this elopement shoot and try to tell us that the velvet tuxedo doesn’t look perfect for the setting… we’ll wait.